Has Diesel's Time Run Out? In 2014 software which manipulated air pollution tests was discovered in vehicles from many car makers, most famously Volkswagen. 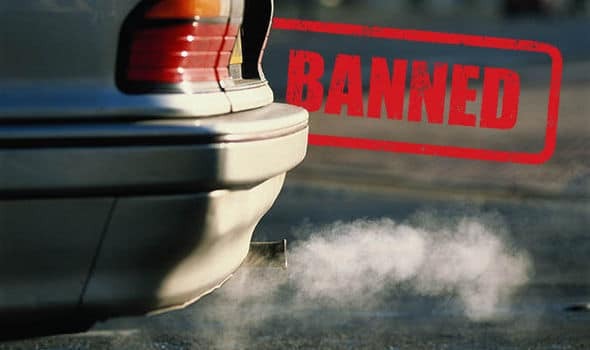 Since this time diesel has only come under more and more pressure with multiple reports finding that diesel cars were much worse at releasing Nitrogen Oxide (NOx) than their petrol equivalents. Soon governments were put under pressure to act and did so by largely introducing a number of taxes on such cars. Essentially, the driver will pay one band higher car tax than they would have done before that date. The changes could see some drivers pay up to £500 more to tax their car in the first year than if it was registered before April 1st, 2018. London has also just introduced an ultra-low emission zone in the centre that will likely affect the majority of diesel cars manufactured before 2015. It is not just London that is trying to find ways to lower its air pollution. In 2020 Birmingham is planning to introduce pollution charges on cars driving within the city’s ring road, with an expected fee of £6 to £10. In Leeds there are plans to charge the most polluting vehicles up to £50 a day to enter a new clean air zone within its ring road from January 2020. Meanwhile, Bath has plans to charge many motorists £9 a day to drive into its Georgian streets. These changes have made a massive impact. Consumers are now beginning to look elsewhere which has caused diesel sales to see a huge £17.1% drop from 2017-18. The plummeting sales of diesel cars has driven Britain’s auto industry to the brink of a crisis, with the axe falling on thousands of manufacturing jobs, and dealerships threatened with savage restructuring. Nissan is preparing to cut hundreds of jobs at its Sunderland plant, the largest car factory in the UK, Jaguar Land Rover (JLR) is cutting 1,000 jobs in the Midlands factory that builds Range Rovers and the Land Rover Discovery and at Vauxhall’s Astra plant in Ellesmere Port, 650 jobs – a third of the workforce – have gone since the PSA takeover. The future for diesel is also just as bleak, Academics at Aston University predict they will account for just 15% of the UK market by 2025, currently they are nearly 38% of the market. Diesel’s troubles are not just present in the UK however, sales of diesel cars have also slumped in many European countries as regulators and politicians crack down, with plans for bans, levies and additional taxes in many cities. France, the UK and the Netherlands have also backed plans to ban the sale of new diesel and petrol vehicles between 2025 and 2040. Similarly, judges decided that German cities, in the heart of Europe’s biggest car market, have the right to ban diesels on their streets, and Rome’s mayor proposed an outright ban from 2024, a year before Paris expects the same. Car makers seem to have adopted two widely different approaches to try and combat the turbulent years ahead. Some manufacturers see the writing on the wall. For example, this week Fiat Chrysler announced plans to end production of diesel cars by 2022; Porsche has ditched two models and Toyota has indicated it will never launch a new diesel again. BMW plans to build a fully electric version of the Mini at its Cowley plant near Oxford from 2019. Volvo also announced that from 2019, all its new models will have an electric motor. VW has earmarked €70bn (£62bn) to produce battery-powered versions of all models by 2030. On the other hand, British manufacturers are keen to resist. Jaguar Land Rover in particular is on the hook, with diesel representing around 90% of its cars sold in 2017. It invested heavily four years ago in a new, multi-billion-pound Euro 6 engine plant in Wolverhampton, just as Ford was spending almost £400m on its diesel plant in Dagenham. However, this focus on all thing’s diesel had led to some cleaner and more efficient modern diesel’s being targeted unnecessarily. A spokesperson for the European Automobile Manufacturers’ Association summed it up well, “it is important that we stop demonising diesel technology as a whole. Instead, we need to differentiate between the old diesel fleet and the latest generation of vehicles.” This is further supported by research from the European Automobile Manufacturers’ Association (ACEA) found that new diesel cars performed well below the NOx threshold of the real driving emissions (RDE) test. 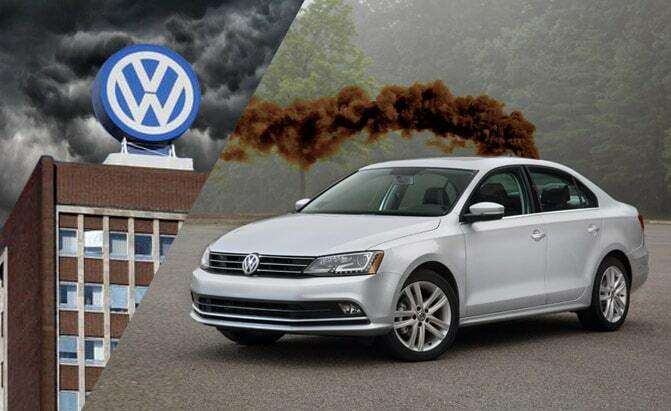 In addition to the low NOx output, they also typically emit less CO2 emissions than petrol equivalents. This begs the question as to whether the government is actually shooting itself in the foot by following such a narrow path in its quest to reduce air pollution.